Eugene Doyle Henderson was born March 10, 1955 in Fort Benning, Georgia to L.C. and Della Virginia Henderson. He grew up in the Columbus and Phenix City area. Mr. Henderson was employed as a truck driver in the area for many years. He was a devoted member of Midway Baptist Church in Smiths Station, Alabama and had earned the title as an ordained minister. In his spare time, Mr. Henderson loved cooking for his family and friends. He always had an admiration for Elvis Pressley and was known in the area to be quite the Elvis impersonator. He adored his family and was a devoted son, husband, father, and grandfather to many. Eugene D. Henderson, 64, of Smiths Station, Alabama passed away on Sunday, March 24, 2019 at the Bethany House in Auburn, Alabama. He is preceded in death by his father, L.C. Henderson. Survivors include his wife, Theresa Henderson; mother, Della Virginia Henderson; children, Tammy (Michael) Carnley, Billy Henderson, Della Chilson, Jeremiah Henderson; step-children, Terri (Louie) Abney, Vickie (Tim) Wood, and Amanda Parkerson; siblings, Mary Jane Ware, Carolyn McAlpine, James Henderson, Lawrence Henderson; eleven grandchildren, eleven step-grandchildren, and a host of extended family and friends. A memorial service will be held 11:00 am on Friday, March 29, 2019 at Midway Baptist Church in Smiths Station, Alabama with Rev. Jeff Dravenstott officiating. Following the service, a light meal will be prepared in the fellowship hall for all to attend. In lieu of flowers, memorial contributions may be given to Midway Baptist Church, 9244 Lee Road 246, Smiths Station, Alabama 36877. The Henderson family is being assisted by Georgia Cremation, 7500 Veterans Parkway, Suite A, Columbus, Georgia 31909, 706-577-0055. The family invites you to leave a condolence or share a fond memory of Mr. Henderson below. You’ve been a wonderful person in my life. I never thought I would meet someone like you. I’m blessed that you were in my life. You were an amazing Christian to everyone. We all love you with our heats and souls. Just remember we will never forget you and we will always love you. Dad, I will forever cherish the sweet memories we have. I love and miss you so much. I know your probably fishing in that huge lake in your paradise. Please tell everyone that I miss and love them too. I’m gonna be strong and take care of my children like you asked me to. I know your watching over them. They love you dearly. You will forever be loved and missed Daddy. Rest in Heaven now. In the short few years I’ve known you, you have always been a positive person. I remember the first time I seen you in an Elvis jumpsuit. I laughed so hard I cried. Thanks for taking and care of my Aunt and making her as happy as I’d ever seen her. 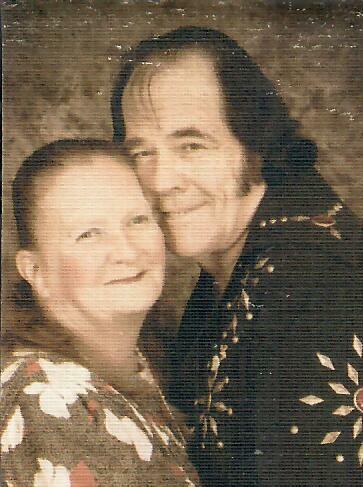 You will be missed Mr. Eugene, we loved you so much , you was my daughters favorite Elvis Presley impersonator. We will reme6all the fun times we all shared . R.i.p. Brother Eugene.